Sock Buns are my new go to hair do for second (or third) day hair. There are two methods which I have found. One is to roll your pony tail over the sock. The second is to put the sock over your ponytail, fan the hair around it, secure with an elastic and then roll the remaining hair around the base of the bun. I have found the second method works best for me. My hair is thick and layered, so my bun ended up being the size of my head and little sprigs of hair popped out all over when I tried to roll it. 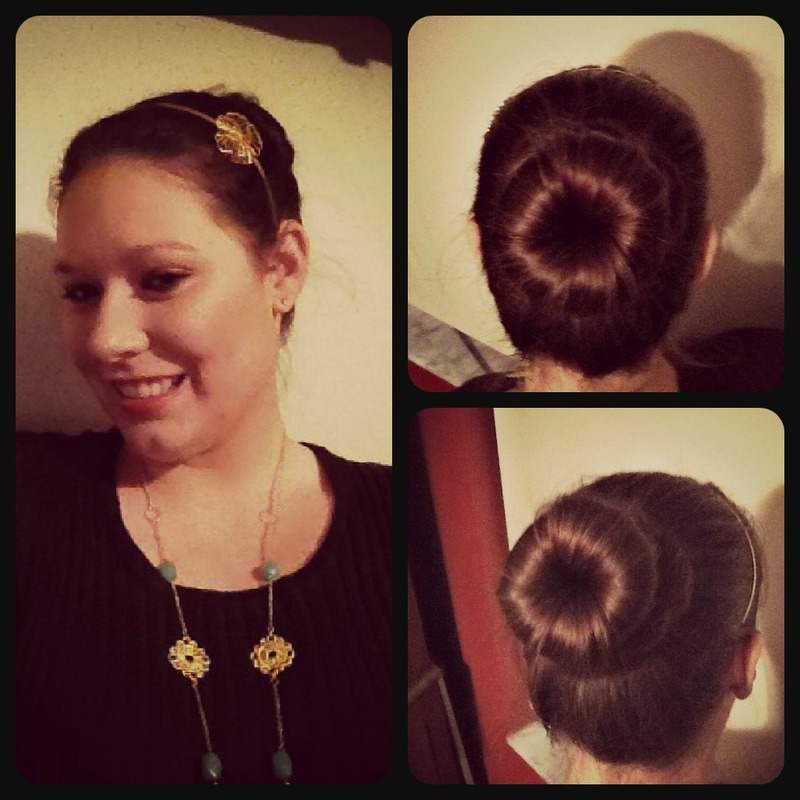 Here is the picture I posted on Pinterest of my sock bun. Here is a YouTube Video from RachaelJadee which shows both methods. The way I do my sock bun is at the 3:20 mark. I do not usally wrap the remaining hair like she does, I start at the front of my head and twist, adding more hair as I go around my head until I run out which is usually around my bun one and a half times and then pin in place. Also I do not use more than one sock, like Rachael does in the video but please do whatever works best for you and your hair. Sock buns are great! BunQueen.com has hair donuts that make this look really easy! They come in different sizes and colors! The bun looks awesome! So neat. Great job!